97 For the Piles Take juyce of Elder may butter and deers suet melt them letting he juyce and butte simper and then put the suet to them. 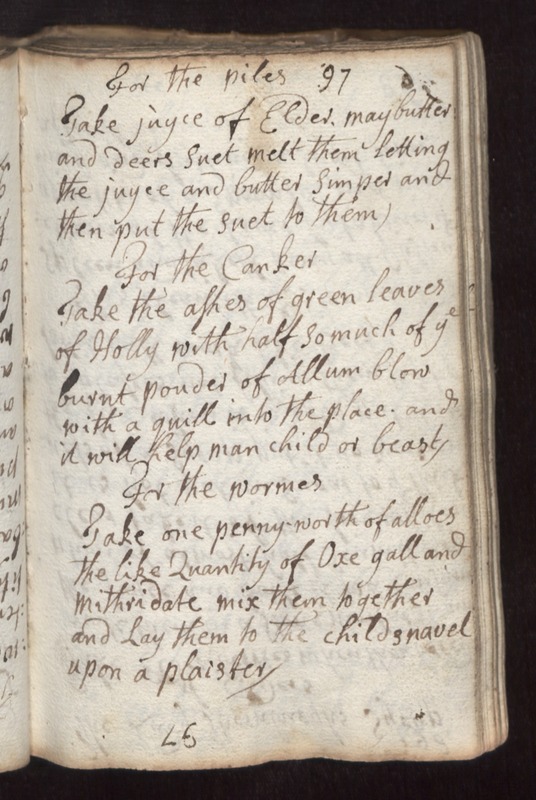 For the Canker Take the ashes of green leaves of Holly with half so much of ye burnt pouder of Allum blow with a quill into the place and it will help man child or beast. For the Wormes Take one penny-worth of alloes the like quantity of Oxe gall and mithridate mix them together and lay them to the childs navel upon a plaiser.